We update our forecasts to reflect the outperformance achieved in 2018 when BCA Marketplace Plc (LON:BCA) delivered another set of record results, which were 11% ahead of our forecasts at the adjusted PBT level and 9% at the adjusted EPS level. This reflects strong growth, progress and efficiency measures coming through across all divisions within the Group. We view our upgraded forecasts as conservative given the 2018 outperformance which is not fully extrapolated into this upgrade. In addition, contract momentum remains strong within its vehicle re-marketing business. Approach from Apax: The Board of BCA received two preliminary and conditional indicative proposals from Apax relating to a possible cash offer for the entire share capital of BCA which, after careful consideration, were both rejected by the board. Apax partners have now confirmed that they have no intention to make an offer for BCA Marketplace. In our view the offer made undervalued the company significantly, our valuation methods point to a value of 309p and we view this approach as opportunistic – management have a great track record of M&A and this could also be on the agenda as well as leveraging the enlarged business organically. Forecast assumptions: We update our forecasts to reflect the 2018 outperformance and positive outlook for the company. We increase our revenue forecasts by 16.8% to £2629.7m and 9.5% to £3093.5m in 2019E and 2020E respectively. Adjusted EBITDA forecasts are 4.2% and 5.2% higher as a result with adj. PBT at £126.3m (+4.3%) in 2019E and £135.4m (+5.6%) in 2020E. We view this as a conservative set of forecasts given the 2018 outperformance which is not fully extrapolated into this upgrade. Investment view: We remain comfortable with our original investment thesis based on the underlying performance of the business. We continue to believe the growth potential is significant from here across all divisions, especially in Europe in future years. We continue to see BCA Marketplace as attractive critical infrastructure as it now touches over 10.5m vehicles in the UK supply chain alone, and would expect to see continued growth under most post Brexit scenarios. 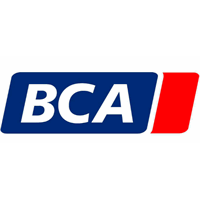 Overall, we believe BCA continues to offer an attractive mix of organic and income growth as it continues to leverage its unique market position on a Pan European basis executed by a proven management team. Outlook: The trading outlook is positive, and in line with management expectations. We view our forecasts as conservative and believe the group has organic growth potential above what we currently have assumed. Following the BMW contract win we see potential for long term organic growth. Click BCA for the full archive.